ACEONE debut on iHobby Expo 2010. ACEONE is the latest GPS/INS based autopilot system, proudly presented by DJI. As the product to entirely rock the market, it will be officially launched for sale in December, Year 2010. In October, ACEONE made its debut on the Chicago iHobby Expo 2010. From the advanced fully autonomous performance, the user-friendly easy installation, to the extremely small and light-weight design, all features provided by this new product amazed both traders and hobby players alike. 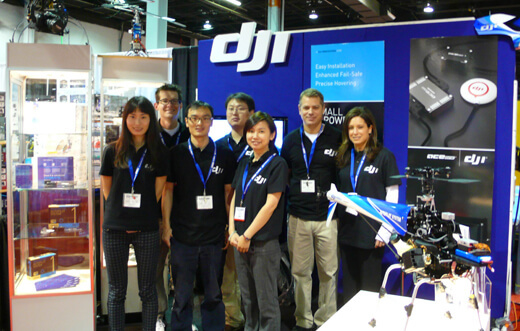 Only from the first day of the show, DJI received a great many advanced orders, as well as positive feedbacks. iHobby Expo is one of the world largest hobby show held in Chicago every fall.